These Amino Acids are capsule not tablet. Easy to digest and absorb into yoursystem. Other ingredients: Casein hydrosylate, gelatin (bovine), egg albumin, and vegetable stearic acid. ALLERGEN WARNING: CONTAINS MILK (CASEIN) AND EGG. Do not exceed recommended dose. Not recommended for individuals with allergies to dairy or egg products and should not be used by pregnant or nursing mothers or children under 18 years of age without the advice of a physician. This product is manufactured and packaged in a facility which may also process milk, soy, wheat, egg, peanuts, tree nuts, fish and crustacean shellfish. Amino acids are extremely versatile: most hormones consist of amino acids, and they transport nutrients and oxygen through the body. Antibodies also consist mostly of amino acids, therefore a lack of amino acids can quickly reveal itself in a poorly functioning immune system. One fifth of our body consists of proteins and their building blocks amino acids. Muscles, bones and skin in particular include large amounts of protein. 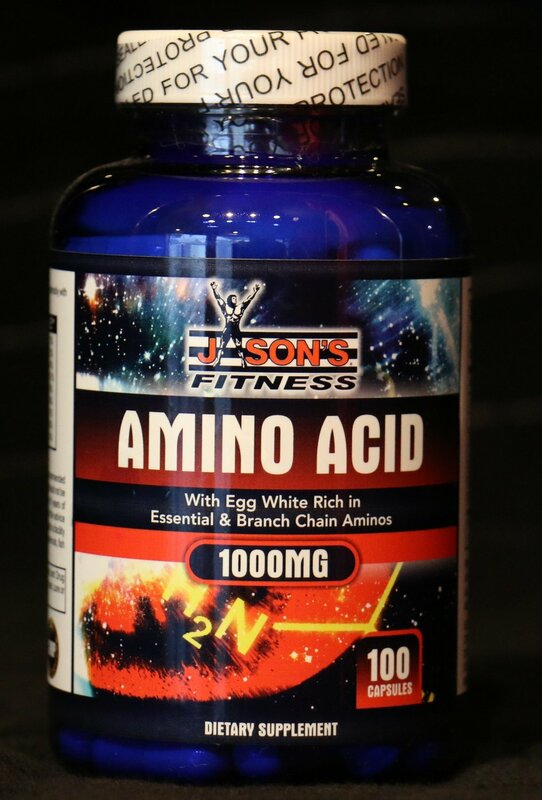 Amino acids are therefore essential for growth and the constant repair of these tissues. Typical symptoms of undersupply are therefore poor growth of finger and toenails, skin, hair as well as poor healing of cuts and tears. Although more than 200 different amino acids exist, the most well known are the so-called 22 proteinogenic amino acids. They are the building blocks of complex proteins and therefore crucial for the growth and maintenance of key tissue such as muscle, skin and hair.